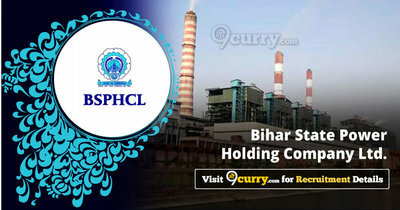 BSPHCL Recruitment 2019 - Walk in for Chief Engineer (Civil) Post in BSPHCL, Bihar on Contract Basis. Candidates are invited by Bihar State Power Holding Company Limited to attend walk-in-interview to be held on 21 Feb 2019 11:30 AM for 1 vacancy. 62 years on the date of Interview. Venue Bihar State Power (Holding) Company Ltd., Bailey Road, Vidyut Bhawan, Patna -800 001.